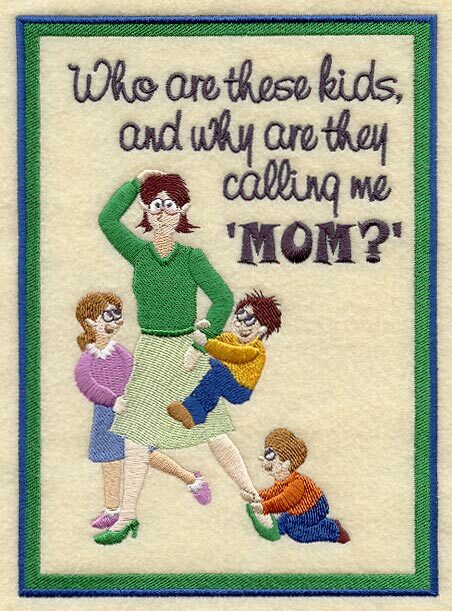 I remember when my life was so very hectic, small children demanding every fraction of my time. I must have appeared more tired than usual because my mother-in-law was compelled to remind me to enjoy these times when all the children were small. She told me that even though this phase of parenthood was most demanding physically, it was special because we have a lot of control. When the children become young adults, that control is no longer there. We must pray and hope that they make the right decisions. Sometimes we feel helpless. Fr. 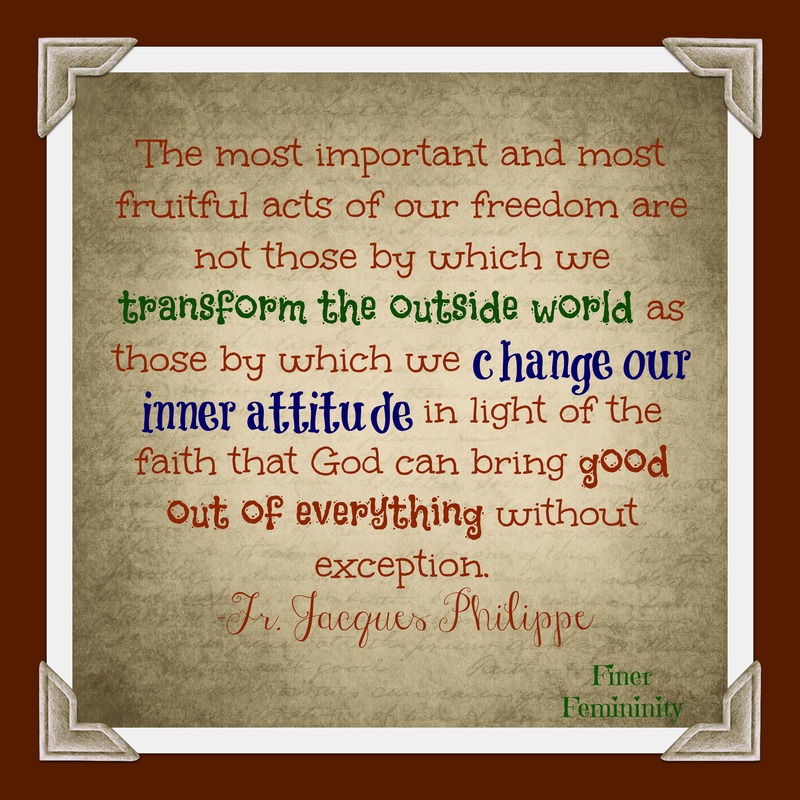 Phillipe gives us words of much consolation when dealing with what seems to be a situation in which we feel absolutely powerless, whether it is with our children or spouse, or whatever the case may be. There are times in every life when we find ourselves in situations of trial and difficulty, either affecting us or someone we love. We can do nothing. However much we turn things over and examine them from every angle, there is no solution. The feeling of being helpless and powerless is a painful trial, especially when it concerns someone close to us: to see someone we love in difficulties without being able to help is one of the bitterest sufferings there is. Many parents experience it. When children are small, there is always a way of intervening, helping them. When children are older and no longer heed advice, it can be terrible for parents to see their sons or daughters turning to drugs or launching destructive love affairs. Much as they want to help, they cannot. At such times we should tell ourselves that even if we apparently have no way of intervening, we still, despite everything, can continue to believe, hope, and love. We can believe that God will not abandon our child and our prayer will bear fruit in due course. We can hope in the Lord’s faithfulness and power for everything. We can love by continuing to carry that person in our heart and prayer, forgiving him and forgiving the wrong done to him; and expressing love in every way available to us, including trust, self-abandonment, and forgiveness. The more devoid of means our love is, the purer and greater it is. Even when, externally, there is nothing to be done, we still have inner freedom to continue to love. No circumstance, however tragic, can rob us of that. For us, this should be a liberating and consoling certainty amidst the trial of powerlessness. Even if we can do nothing, as long as we believe, hope, and love, something is happening whose fruits will appear sooner or later, in the time of God’s mercy. Love, though bereft of means and apparently powerless, is always fruitful. It cannot be otherwise, because it is a participation in the being and life of God. Aprons tell a beautiful story…..a story of love and sacrifice….of baking bread and mopping floors, of planting seeds and household chores. Sadly, many women have tossed the aprons aside and donned their business attire. 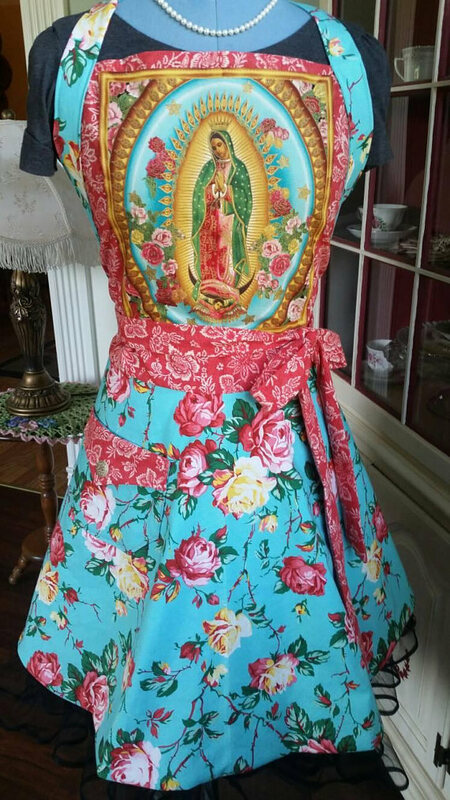 Wear your apron with joy….it is a symbol of True Womanhood! “Christian humility does not lower, it elevates; it does not cast down, but gives courage, for the more it reveals to the soul its nothingness and abjection, the more it moves it toward God with confidence and abandonment.” – Divine Intimacy, Fr. Gabriel of St. Mary Magdalen, O.C.D. That was a wonderful read…….I do think though based on the age of the older child, certain precautions can and should be taken at home so as not to hurt possible younger ones still living there. Sometimes to allow an older child to remain living at home, even with certain restrictions, can have a retrograde effect. I know of a couple adults who were unintentionally enabled in their bad ways, by parents who tried to keep the door open with too much love and understanding. Those particular persons, needed to be kicked out so they could understand the consequences of their bad actions and be on their own and not infect the younger siblings. I have known some parents in this situation and, yes, it is so difficult!